Apr 26 NEPENTHES highlights SOUTH2 WEST8 in new editorial "SET NORTH"
NEPENTHES just released a new editorial highlighting this seasons outdoor meets streetwear items from SOUTH2 WEST8 in a new editorial named "SET NORTH". 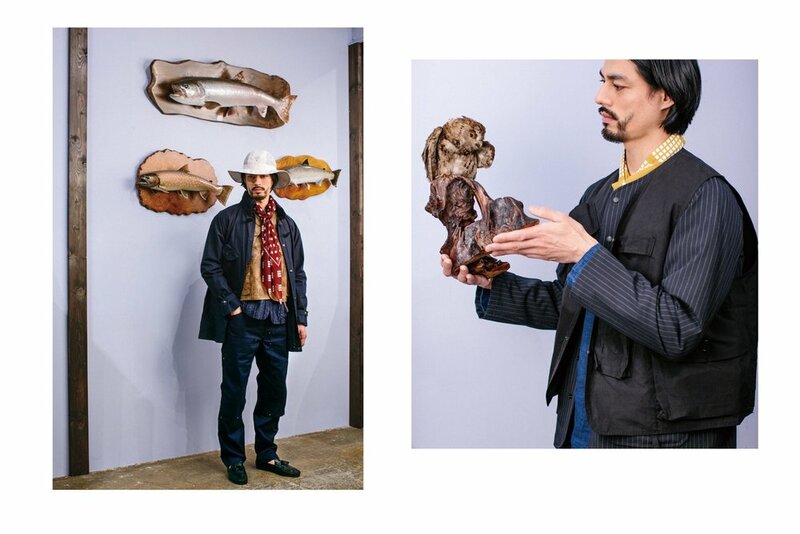 Shot in the SOUTH2 WEST8 Sapporo store where taxidermied animals works as the backdrop, the shoot showcase pieces like hunting-inspired vests and jackets, camo pants and vibrantly-patterned layering pieces. Check out the full editorial above.